Thanks to new laws and regulations, the first medical marijuana pills have been sold legally and they are now available over the Internet in some parts of Europe as well. 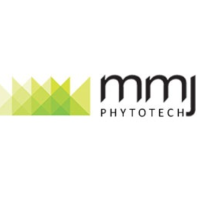 MMJ Phytotech, is the name of this medical cannabis company and they are located in Australia. At the moment, marijuana is still not fully legal in this country, but the company found a way around this, by producing their capsules in Switzerland, registering them in Germany and selling them online to people in Europe. The medical marijuana pills that this company is now selling, are mainly cannabidoil or CBD capsules, which means that they come from a type of cannabis plant or marijuana strain, which keeps or maintains CBD, but that does not contain THC or tetrahydrocannabidoil, which is the substance in the marijuana plants, that makes us feel a high. This is why these pills are mainly for medical use and why they are very like to become very popular in the near future. According to MMJ Phytotech, these medical marijuana pills, can help fight and control things like diabetes, anxiety, cancer, chronic pain, epilepsy, sleep disorders, arthritis and more. At the moment, a box of these pills, sells for around 89 Euros. The company's goals include more than one millions sales this year and they have already stated that they have had a good response from the public. This is great news for the marijuana regulation movement, because it proves that people do need this herb as a medicine and that it can be a profitable business for others. Please remember to share and like this blog post, so that more people can read about these new medical marijuana pills.